Every year I participate in the Winter C-Note, a fund raiser for the San Diego Art Institute. 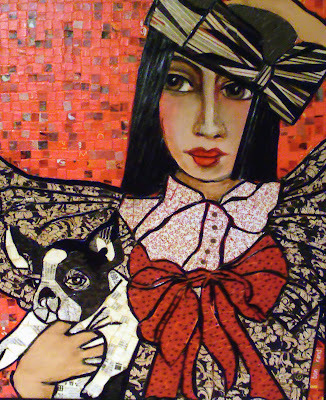 This year I am exhibiting for sale four paper mosaics that I've done over the last year or so. One was selected for exhibit during a regional show not too long ago. 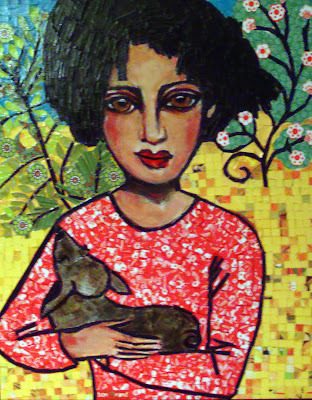 The four mosaics are of girls and their dogs. I hope they help the Art Institute annual effort and go to nice homes where they will be loved. I feel like a human humane society.